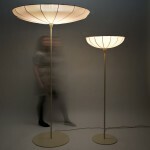 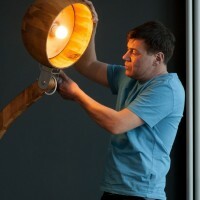 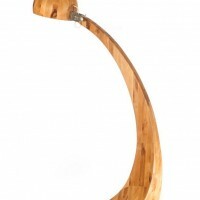 Polish design studio ABADOC have designed a wooden floor lamp named Woobia. 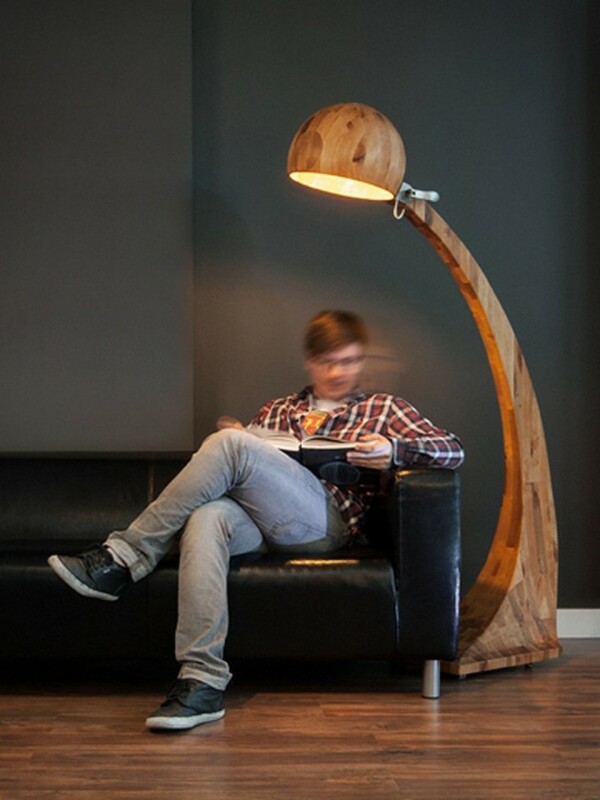 It was created by an inspiration of a childish bow that one of our colleagues made of a wooden branch for his younger son. 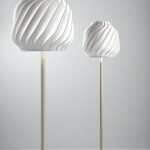 In the original version, the shape was more organic but as it happens in the design process, it has been simplified which resulted in the smoother character of this object. 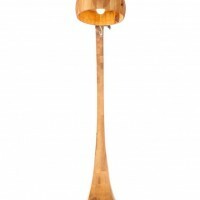 Its lampshade is turned on a Lathe from an alder wood which has been glued together. 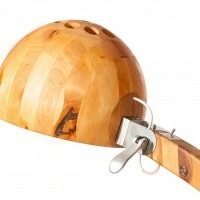 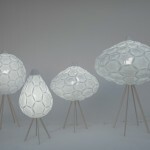 The hand-modelled body of lamp also contains wood blocks which are formed in small squares. 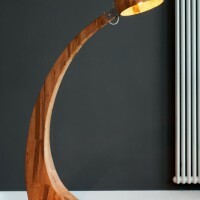 As for choosing the material for the manufacturing process we do not avoid knots because we think that every form of wood has ist own soul and can look beautiful. 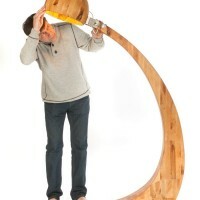 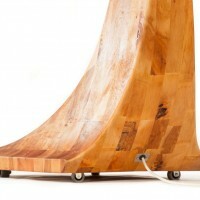 It also has an impact on the usage of materials so that only limited wood is needed to make an object. 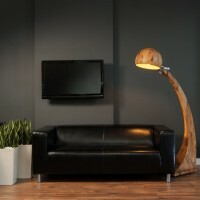 The natural look of Woobia is ideally suited to both modern and traditional arrangements. 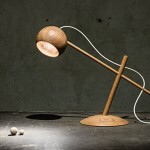 This lamp is also equipped with wheels so that one can easily move it everywhere in the given space. 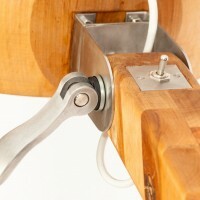 Facilities like handles and connectors are made from stainless steel. 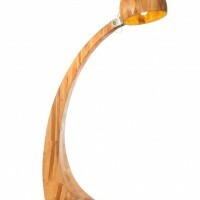 The light source is included in the energy-saving LED light bulb. 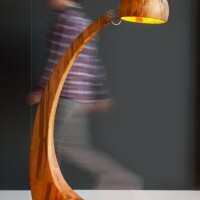 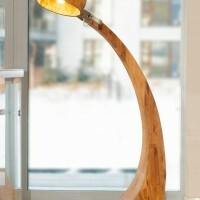 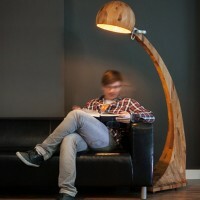 Only this technology is completely safe and can cooperate with the wooden surface of the lamp. 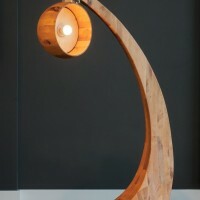 This entire wooden structure can be covered with natural oil or varnish.